I love creating things to make life more pleasant and I have finally figured out how to share the game with others. My particular niche in the vast world of custom woodworking is designing things that can’t be found in stores. When I find a client that has an interesting requirement and is willing to participate in the design process, it is like an out of body experience. This is what makes design one of the most desirable occupations i can imagine. We do this routine where the client gives me a verbal description and I sketch along as she talks. Then the client sees the sketch and starts adding features. In no time at all, we have a workable solution to the client’s problem and I get to take the sketches home and create a detailed set of drawings that will allow me to come up with a proposed price. Sometimes, I catch fire during this final design phase and manage to tweak the design into something out of the ordinary. I run it by the client to make sure I am still on track and we quickly agree on a final design and a budget. 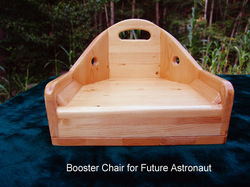 This project started as a booster chair much like the ones I did last year. 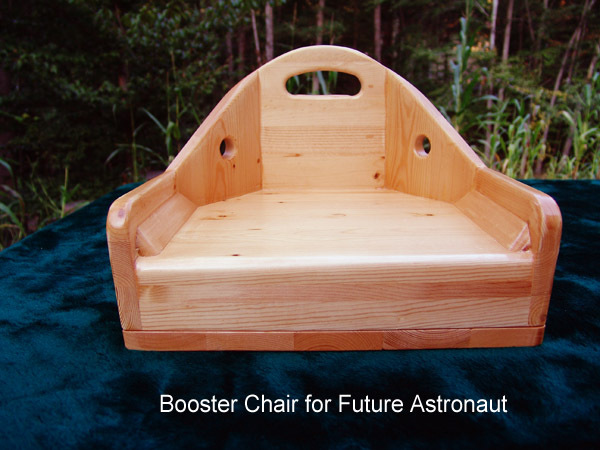 Somehow our design evolved into this more comfortable and elegant version which looks like a booster chair for a future astronaut. This booster chair was specially designed and built for a little girl named Laura. We will just have to wait and see if she grows up to be an astronaut. 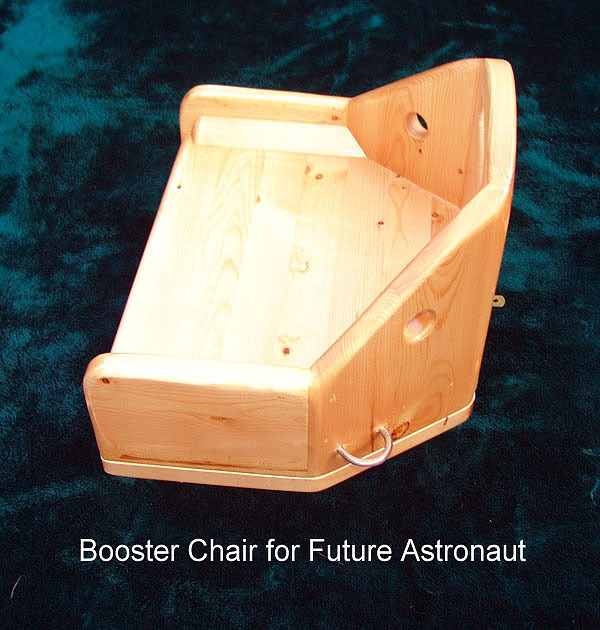 Meanwhile, I suddenly have my hands full designing custom furniture for children. Somehow I have managed to pull in a number of new clients with challenging assignments. This entry was posted in Affordable Designs Wood, Doing What You Love. Bookmark the permalink.